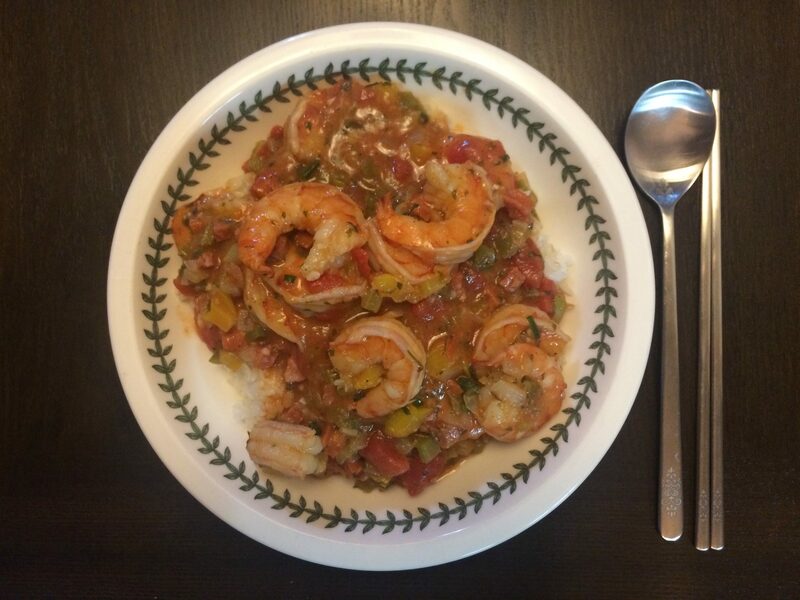 Cajun Shrimp Creole is a healthy, nutrition rich, and diet conscious food that you can eat without guilt. 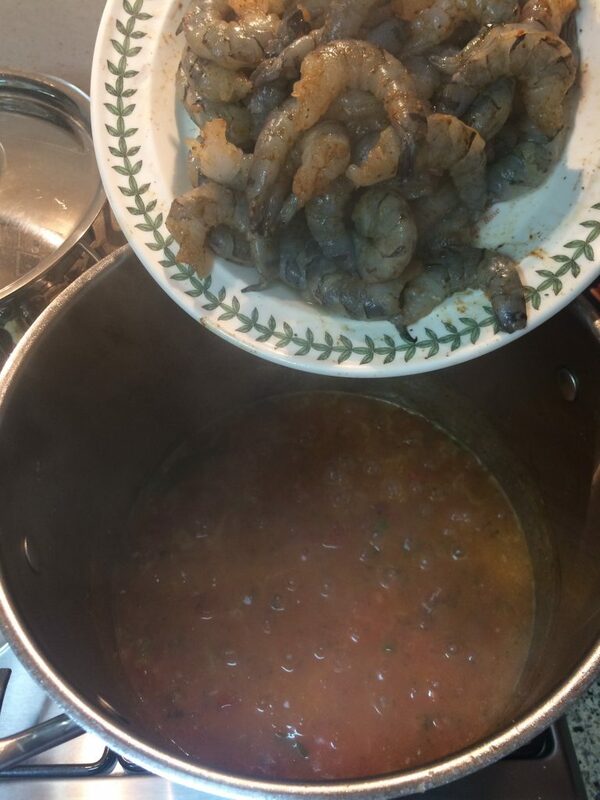 If you follow these two french techniques found in this article then Cajun Shrimp Creole will be quite simply one of the best Cajun foods you will eat. In addition to the two french techniques we have 3 other tips to share that amp up flavor and texture that you don’t want to miss. The first technique to discuss is something most people take for granted and don’t do. I even see celebrity chefs skip this very important simple step. I riddles my mind why anyone would choose to overtly skip this as it is so simple. The French developed this technique and it is a foundational item to a great many sauces and can be used in very many ways. 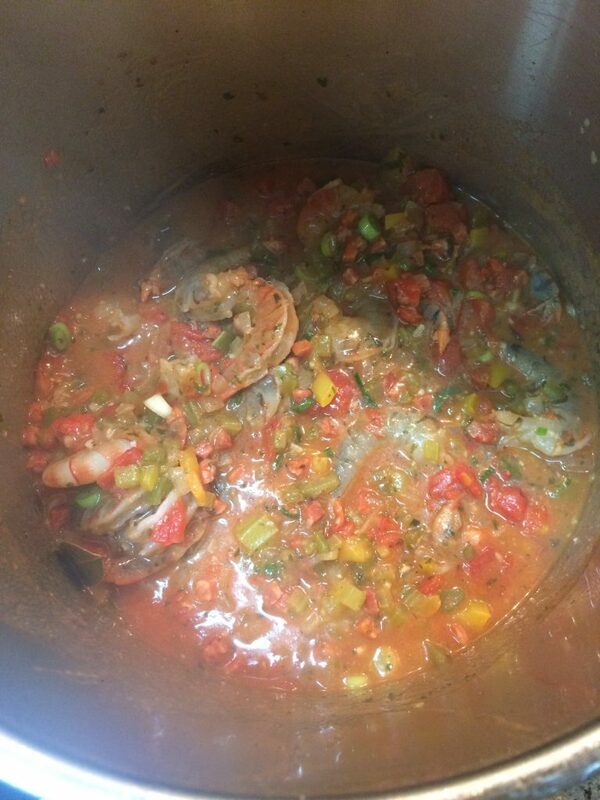 If you are an experienced cook then you already know that I am talking about a roux. Don’t be embarrassed if you don’t know what a roux is, most people don’t know what a roux is either. Roux is made by melting butter in a frying pan, whisking it with flour, and cooking it until to it reaches a threshold. Normally, blond, nut-brown, and dark brown are the three levels of roux. Each are applied to different cooking techniques and have differing levels of thickening power. Blond has the most thickening power and dark brown has the least thickening power. There is a specific ratio that was developed by the French that is extremely easy to remember and follow. 1 tbsp butter, 1 tbsp flour, and 1 cup of liquid to be thickened. This precise measurement will work every time, giving you only enough fat to cook the flour and no extra. 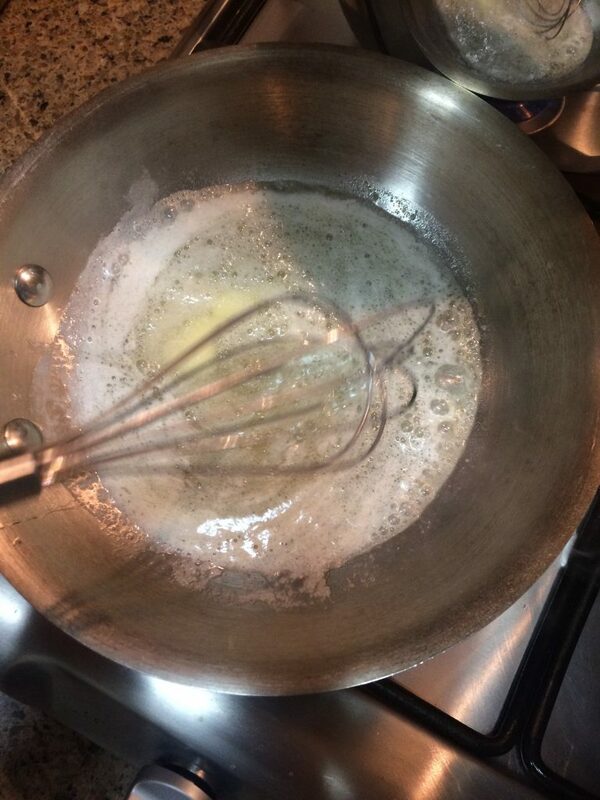 When whisking, it will be just enough fat to not burn the flour too fast. Making roux is a necessary part of cooking and you should adapt to using this technique as opposed to dumping raw flour into your sauce or gravy. The problem with using raw flour is that the end resulting taste will be the taste of raw flour, the ending look turns the sauce white, and often results in clumpy texture. 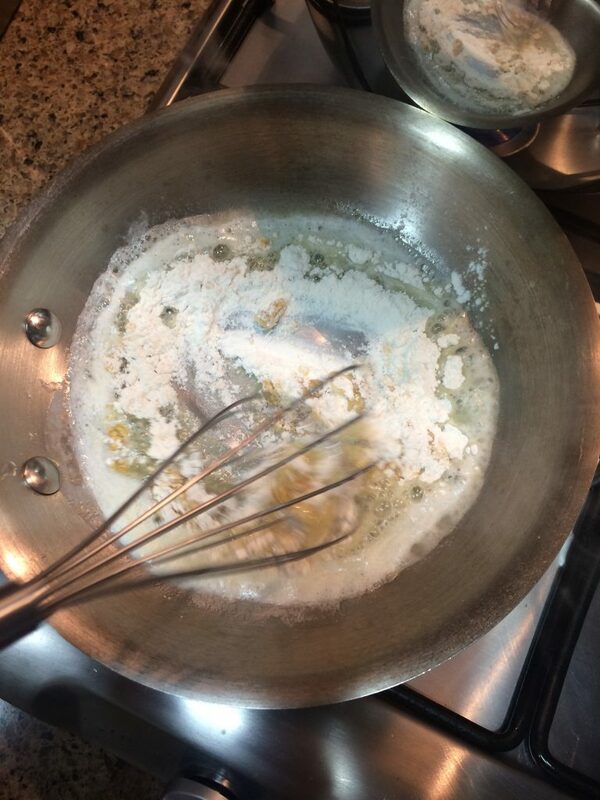 The solution is making the roux and doing so solves the problem with taste, color, and resulting texture. When you fry the flour it gradually take on a nutty flavor and aroma and no longer tastes like raw flour. 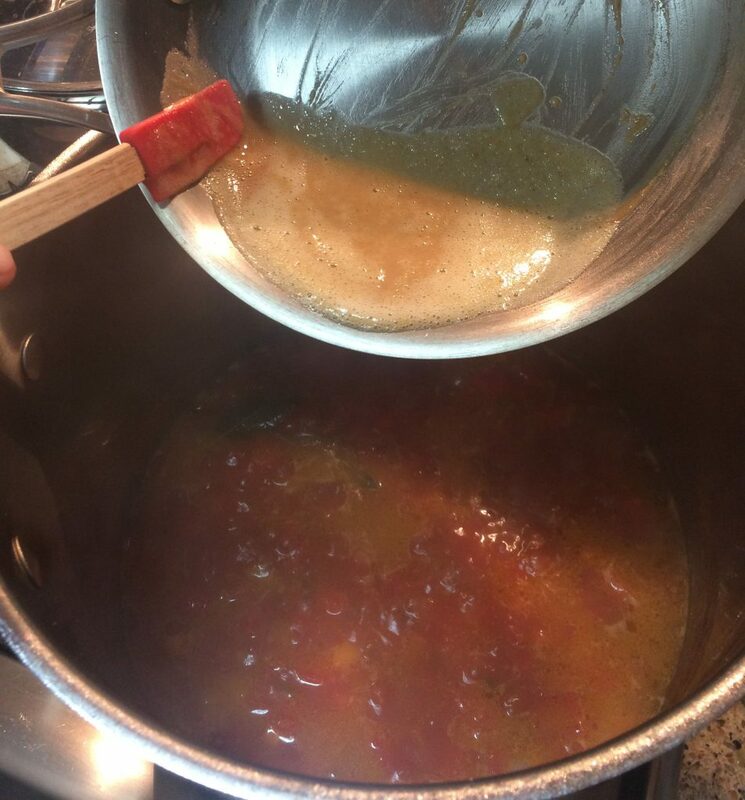 When added to a sauce the color can more easily blend in with the color of the sauce. Finally, the end resulting texture won’t be clumpy because the fats lubricate the flour and keeps the flour from sticking to itself thereby preventing clumps. 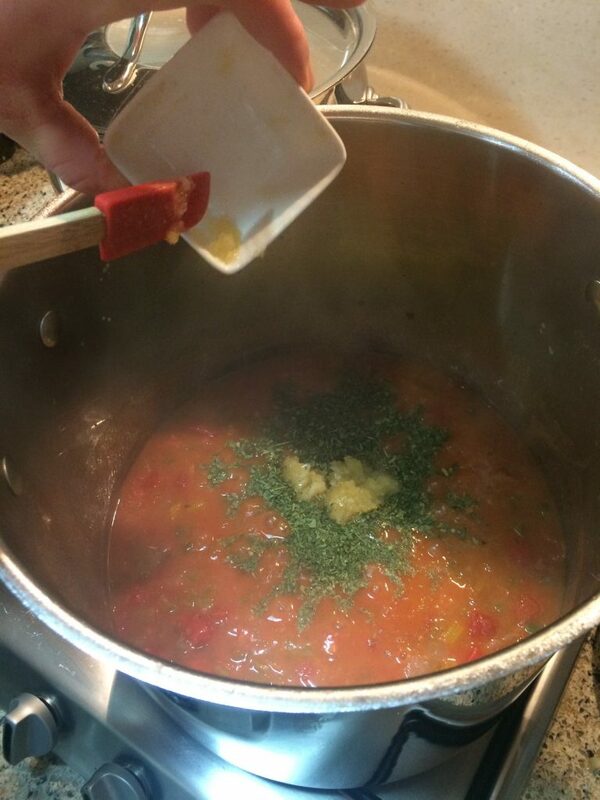 The second technique to discuss is the how to know how much of each ingredient to put into making a sauce. Most people just read a recipe, do exactly what it says and never think twice as to whether the recipe is properly conforming to well-known techniques that maximize flavor. Just like a roux has a ratio of 1 tbsp butter, 1 tbsp flour, to 1 cup liquid there is a similar trick to knowing how much vegetables to use. A mirepoix is another French creation that is simple to remember, and can be applied to just about any recipe. 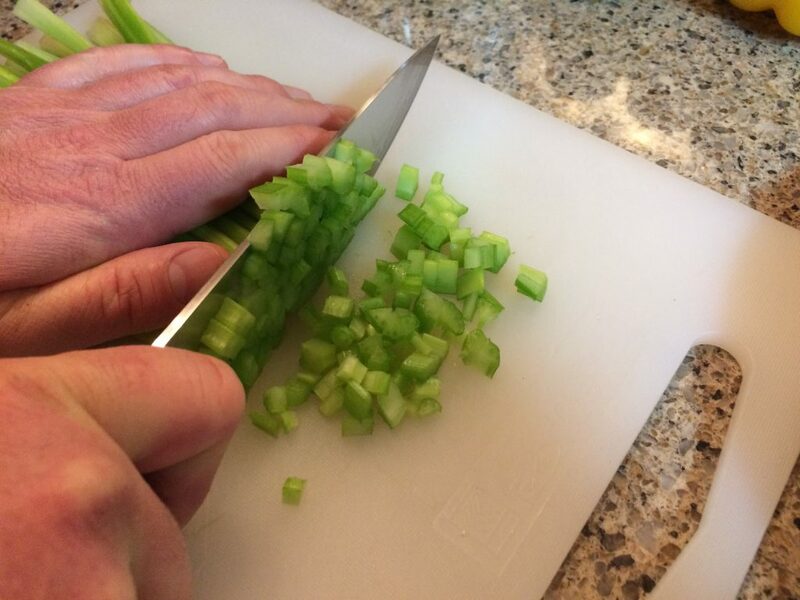 A mirepoix ratio in French goes like this 1 oz carrot, 1 oz celery, 2 oz onion, to 1 quart of sauce. 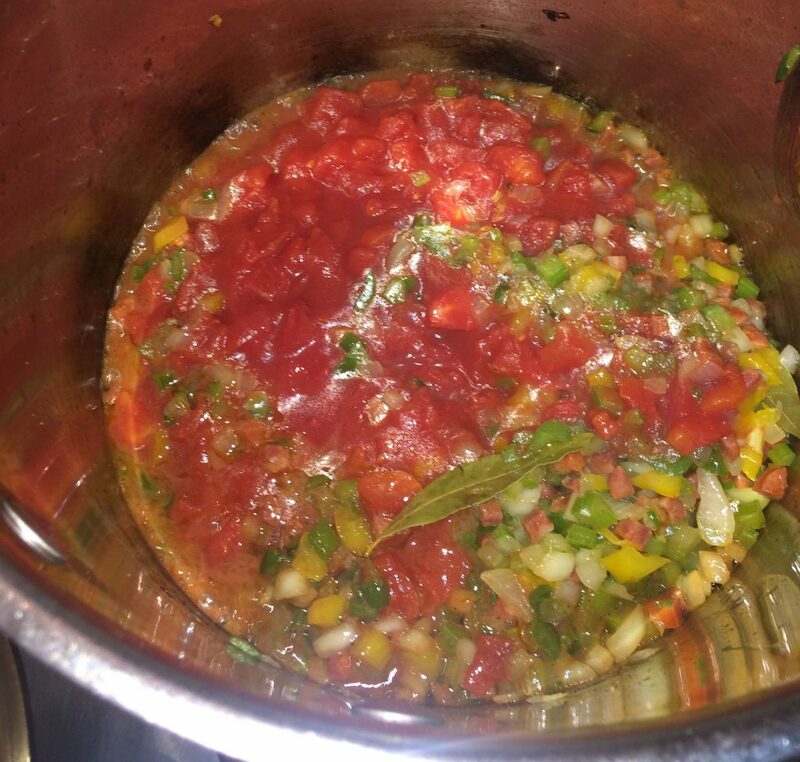 If you would rather not weigh the vegetables, then a close approximation is 1/8 cup, 1/8 cup, 1/4 cups of the diced vegetables to 1 quart of sauce. 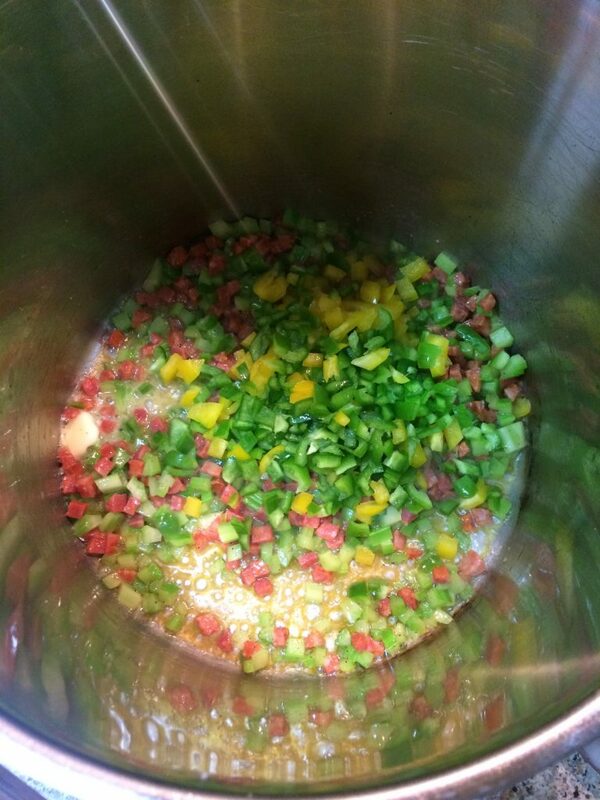 In Cajun cooking the mirepoix is modified to using bell peppers instead of carrot. 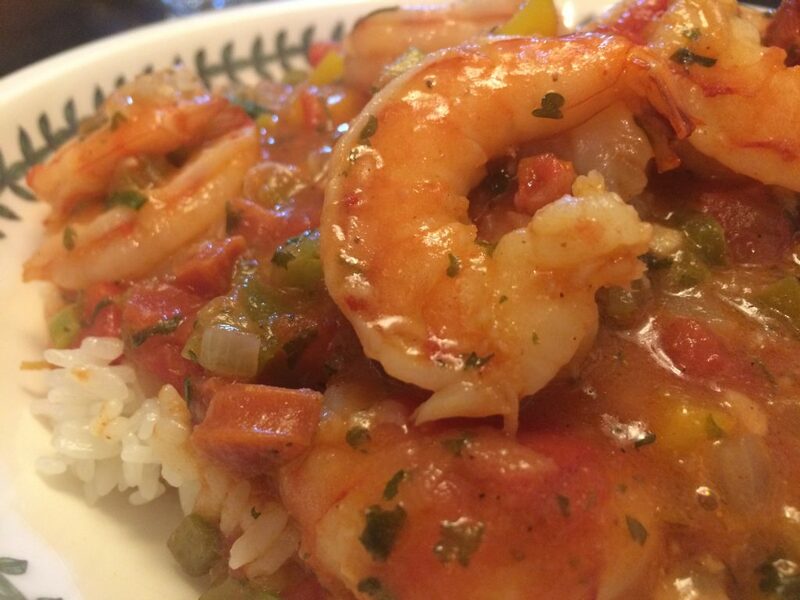 Some Cajun recipes may also use spicer pepper types. But the ratio none the less remains the same. Thats 1oz peppers, 1oz celery, 2 oz onion to 1 quart of sauce. 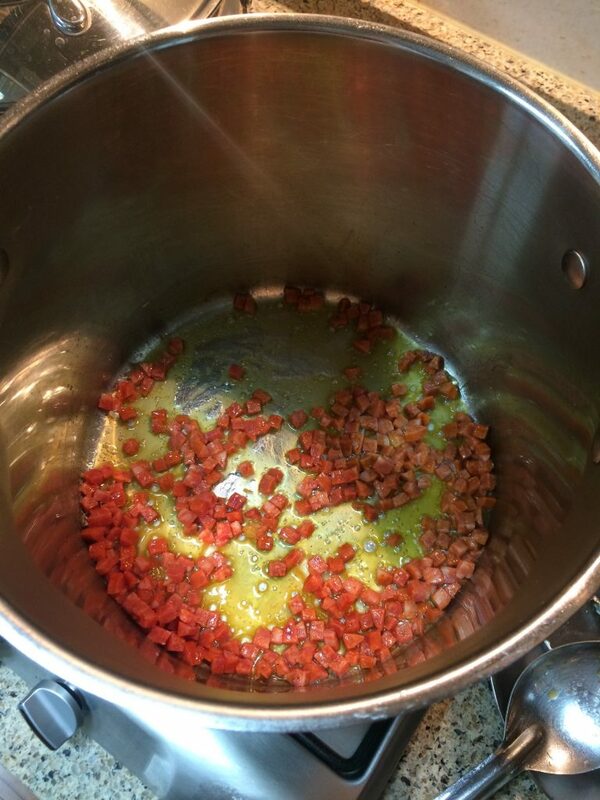 This recipe conforms to these amounts and the resulting flavor is great. 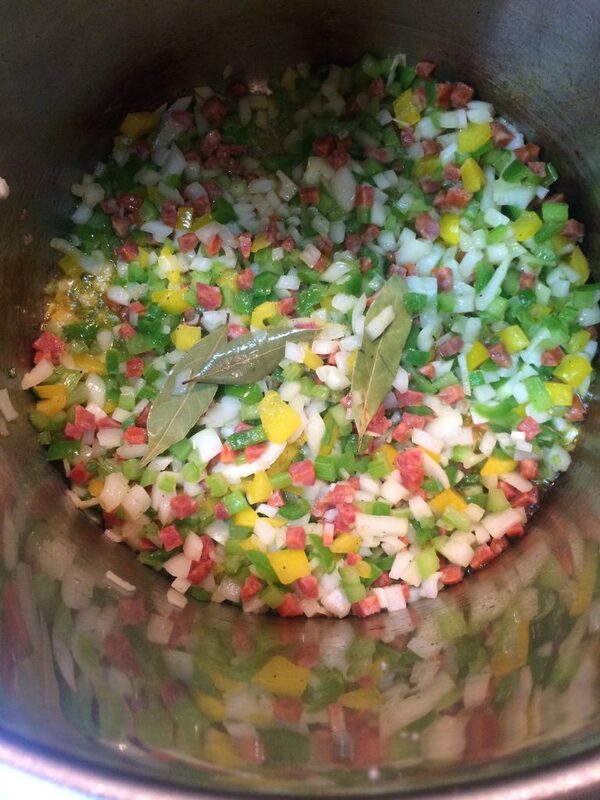 A mirepoix creates a balance of flavor and tones that when blended together its like a beautiful sounding melody. No single aspect of any of the vegetables over powers the other, and together make a new flavor. Individually, you shouldn’t think to oneself there is too much of this or that in the sauce, while the flavor profile of the sauce itself is much more delicious. 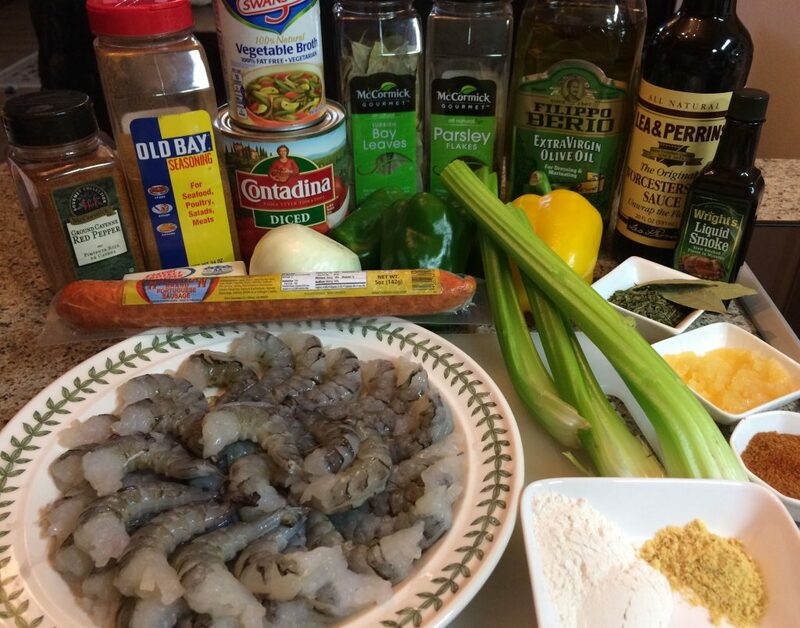 When cooking Cajun Shrimp Creole, you want to make sure that the vegetables are all equally cooked to a limp and tender texture. 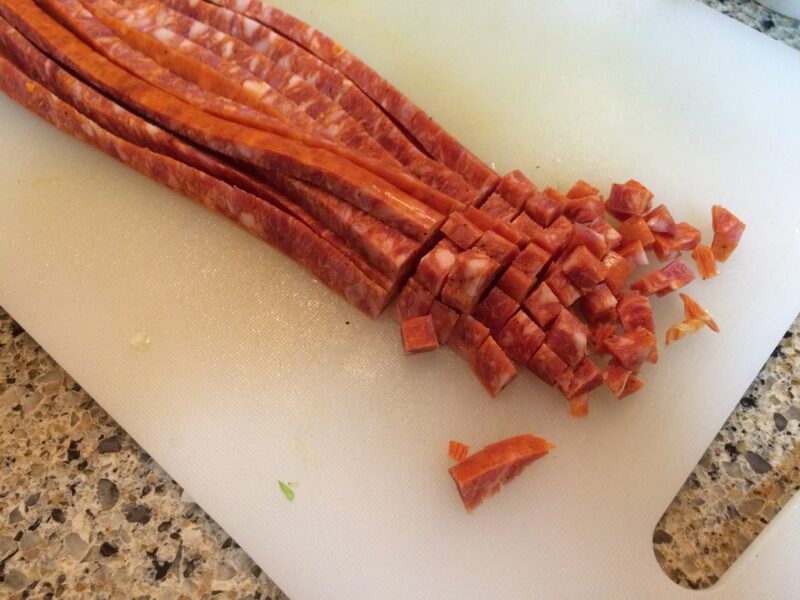 Most recipes will call for you to just dump everything in the pot and fry everything together. This does not take into account that the three vegetables need to be cooked for different lengths of time. 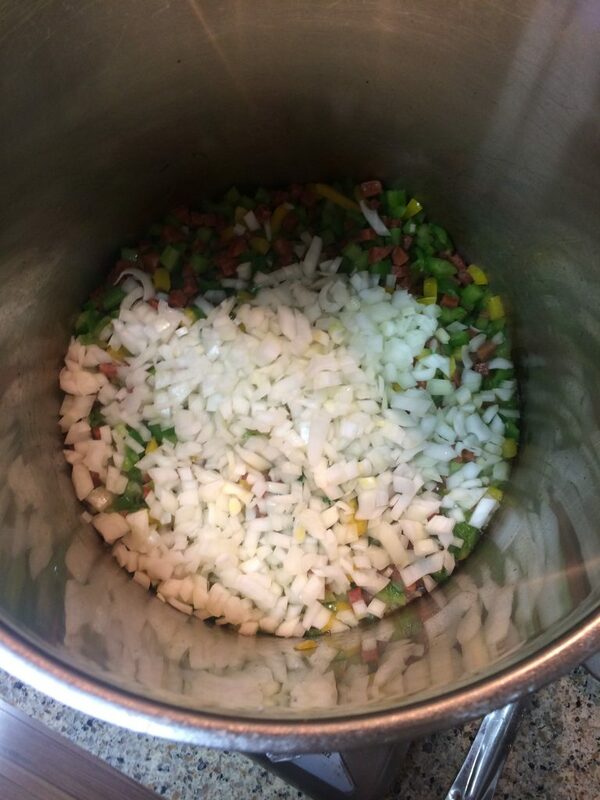 If you throw everything in the pot and fry the vegetables together until the onion looks done, then the celery and bell peppers will not have cooked long enough to become limp and tender. 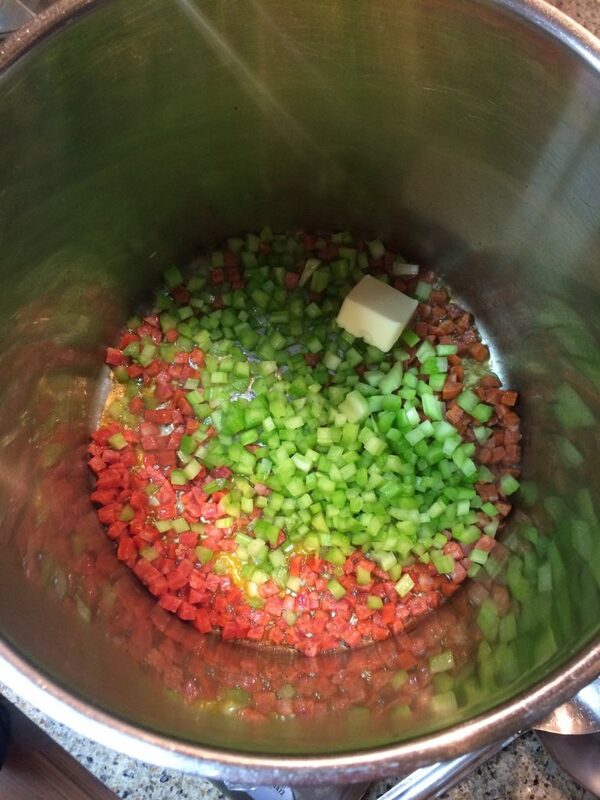 If you cook everything together until the celery looks done, then the other vegetables will be over cooked and mushy. 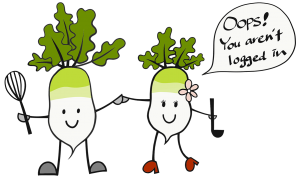 For this reason one should start with cooking the hardest vegetables first and gradually add in vegetables according to their density. I start with frying celery and give it 3 minutes of frying before adding bell peppers. 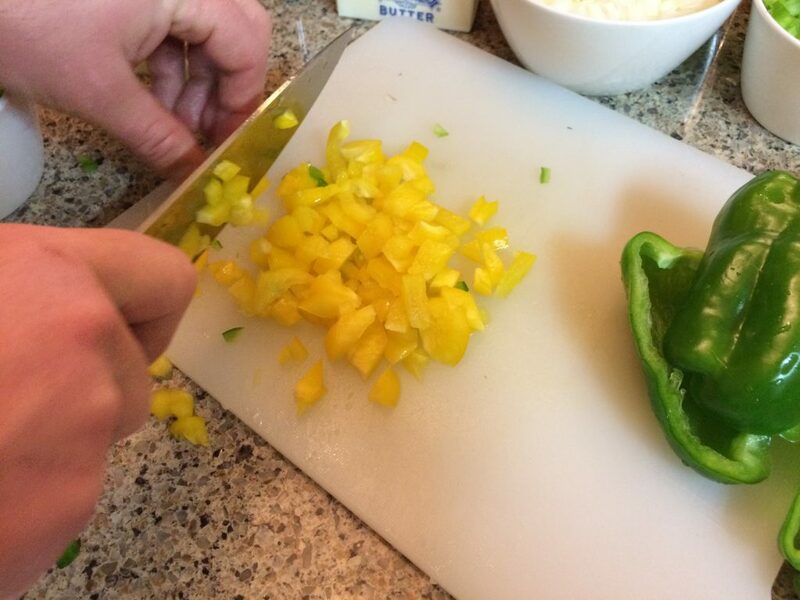 Next I cook the bell peppers with the celery for an extra 3 minutes and then add the onion. 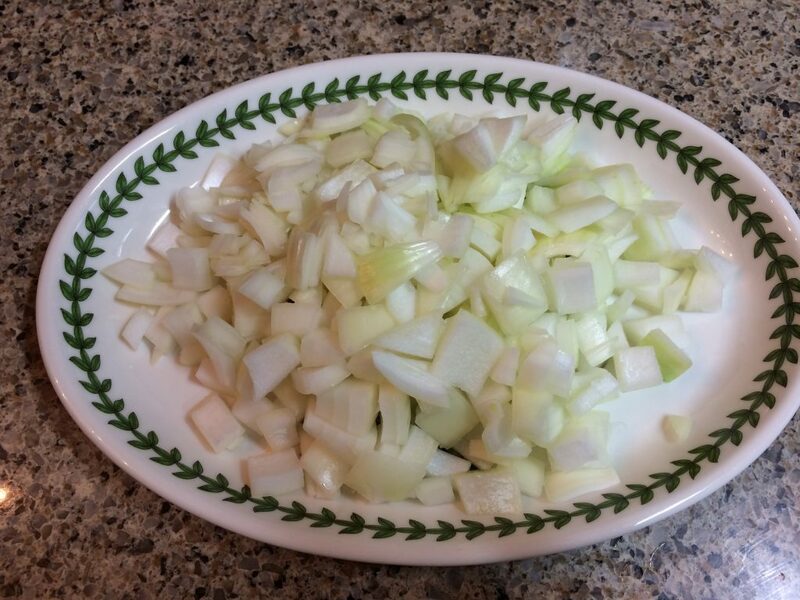 Then I cook the onion with the bell peppers and celery for 5 minutes. 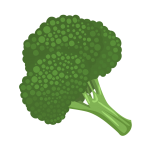 Finally, the end result is that all the vegetables are cooked to about the same texture. There’s two additional recipe tips that we want to share with you. We reserve our best tips, tricks, and secrets for registered members or people who will share our content. Please either login or create a free account by registering or simply use a social media account to share.